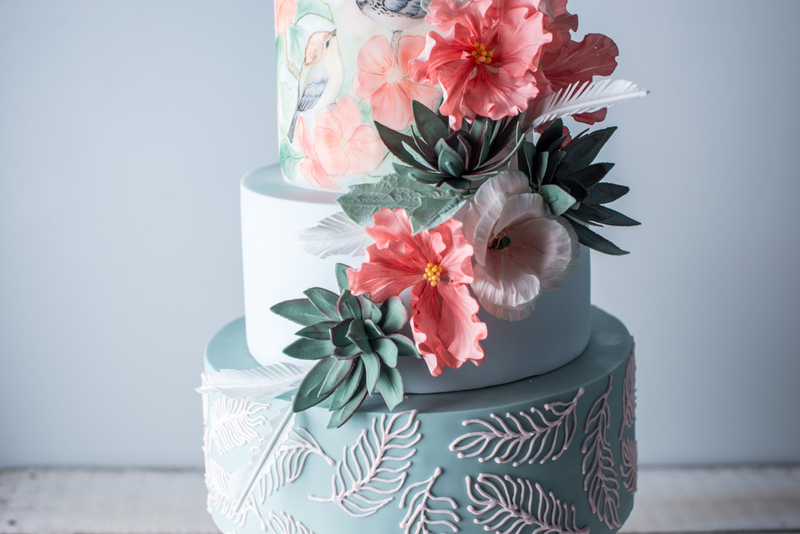 Make sure the cake matches the theme of your wedding and the season. You do not want a cake that matches the fall season if you are planning on getting married in spring. 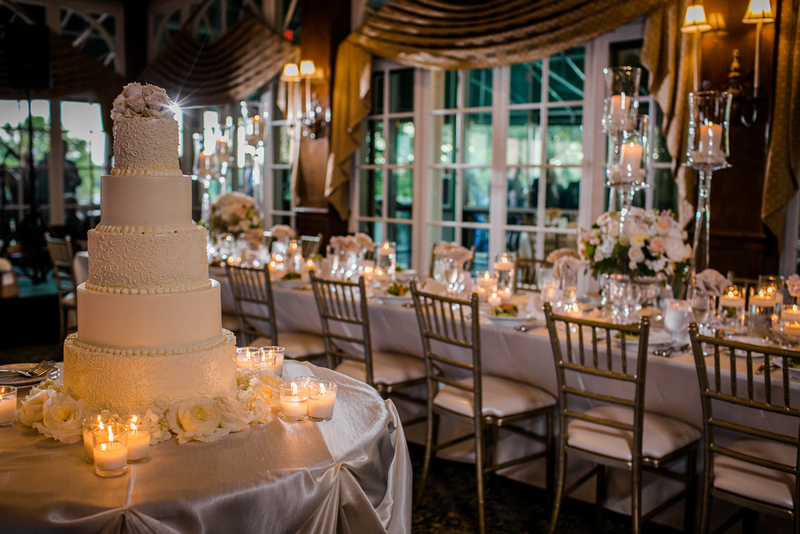 If the reception is taking place in a small venue with a low ceiling, it is not in your best interest to have a tall cake with many tiers. However, if your venue is larger, then a large cake would be an appropriate complement. If you are choosing an outside venue, be mindful of the weather. If it gets too hot, cakes with whipped cream and buttercream will melt. Invest in a frosting that will hold up in the heat. Consider a round cake for a round table or a linear design for a rectangular table. Keep in mind how much space the cake will take up on the table and do not forget additional factors such as plates, napkins and silverware. 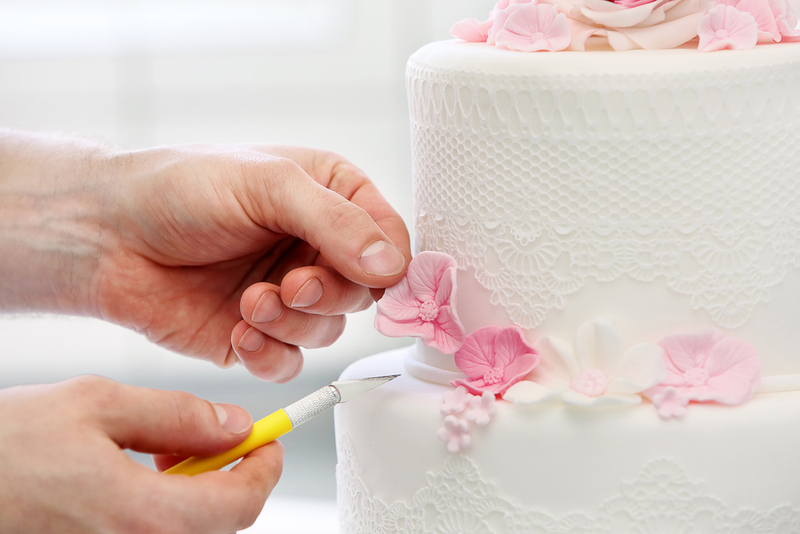 Each baker has his or her own unique style, and each cake is often priced by number of slices, so it is important to have a budget prepared ahead of time. Look at many different vendors and be sure to check how large they slice. 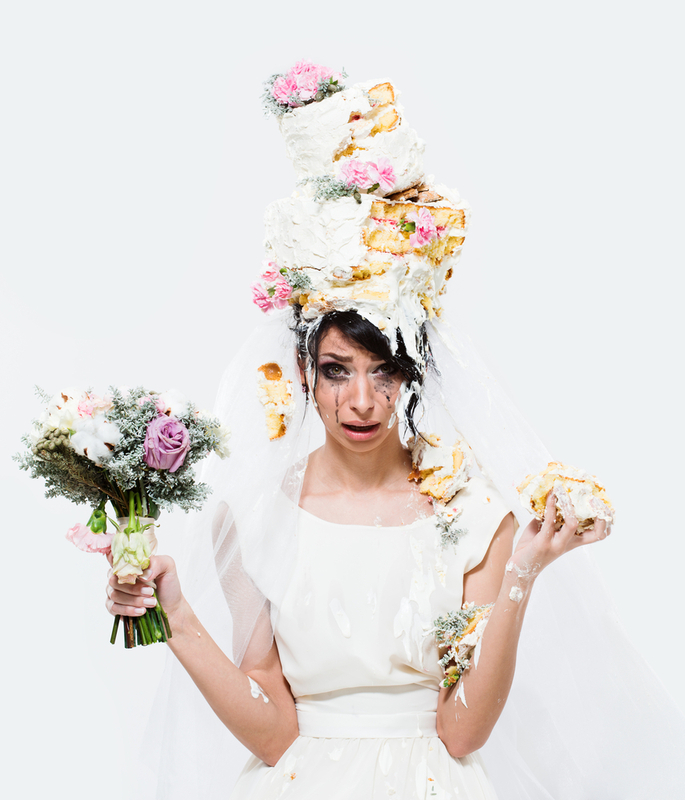 You may also consider asking your wedding venue if they recommend any bakers. Do not wait until the last week to start thinking about the cake. Plan three to six months in advance. 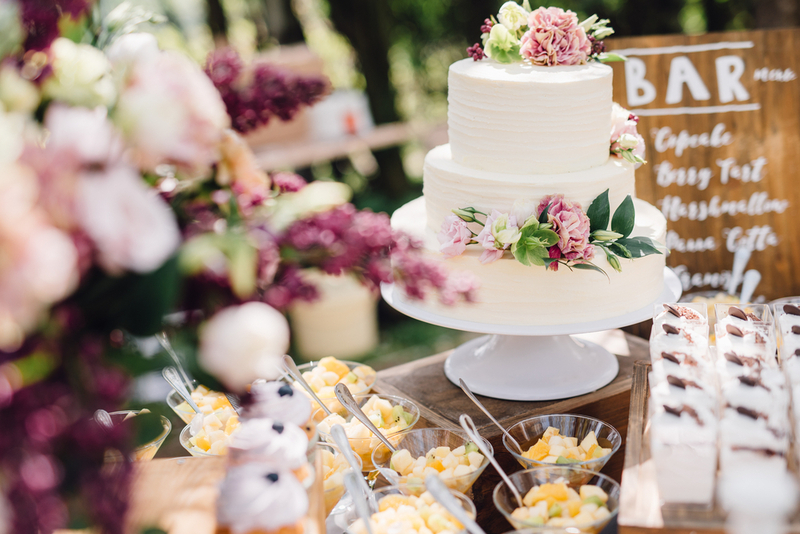 If you are getting married during “wedding season” (spring/summer), give yourself even more time, because wedding cakes will be in high demand. Remember, this is your wedding, and you should get the flavor and design that most reflects who you are. Maybe you want something traditional like vanilla cake with bride and groom toppers. Or maybe you want chocolate cake with flowers and ribbons. Get creative, be yourself and have fun selecting your cake!